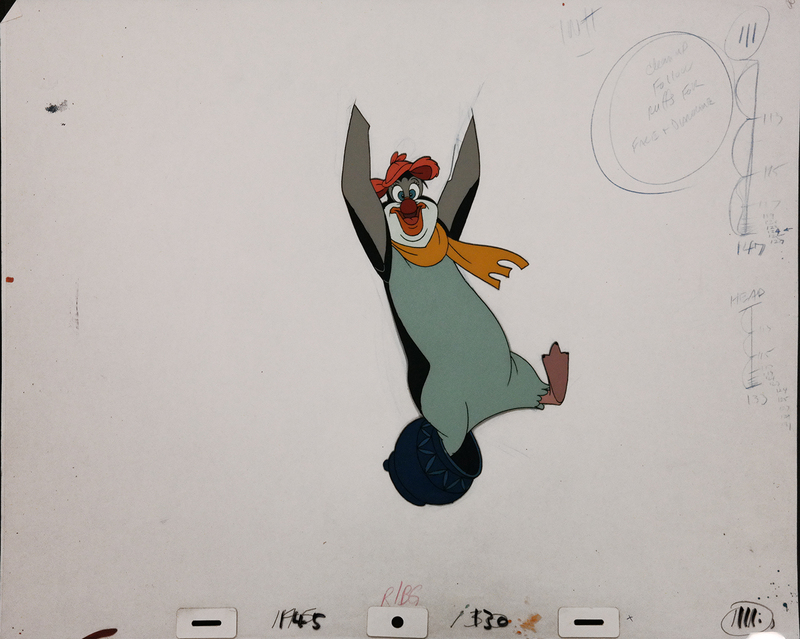 This is an original production cel of Hubie used in the production of The Pebble and the Penguin (1995). It includes a matching drawing. 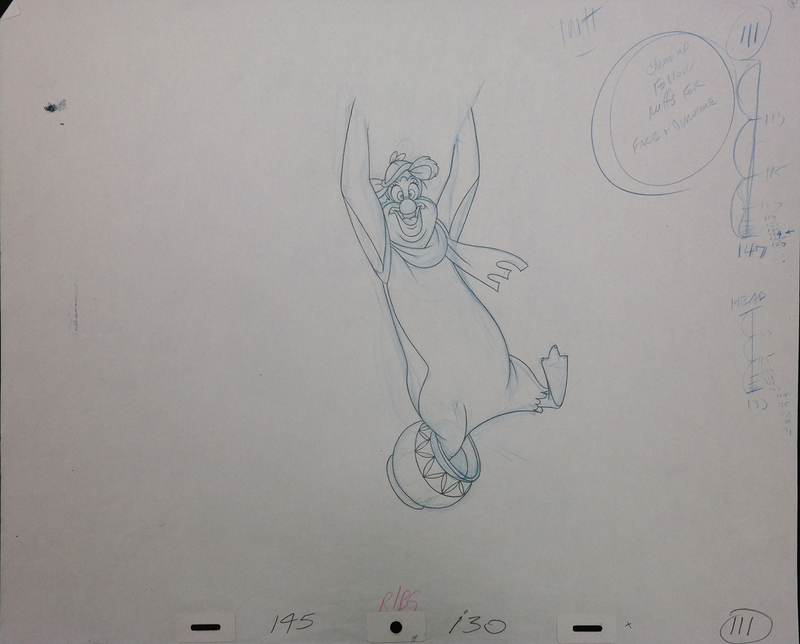 The untrimmed cel measures 13.5" x 16.5" and the image measures 8.5" x 4.75".